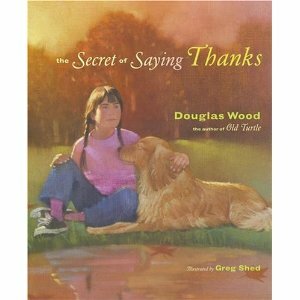 Students respond excitedly to the idea of learning a ‘secret’ about life through a book called The Secret Of Saying Thanks. Their excitement continues to grow as they receive a gift from their teacher. This gift is a special gratitude journal. Students enjoy this aspect of writing each day as it is personal, reflective and leaves them feeling positive throughout the day. Students will look to their journals for cheerful memories on a day when they may feel down. The secret that students learn through this activity is one that will serve them in a positive manner throughout life. Developing an attitude for gratitude opens many doors for individuals. 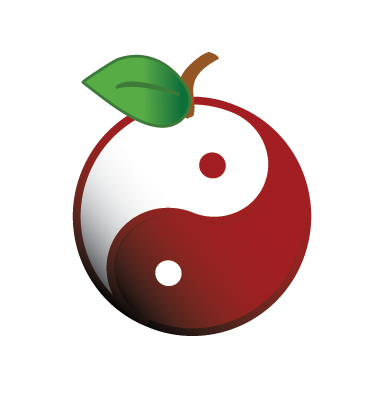 It releases stress, strengthens emotional resilience, and helps develop a pattern of focusing on the positive in life. As this becomes second nature for individuals, more and more positive encounters seem to manifest. Like attracts like; therefore, if you can become aware of all the good in your life, more good will come to you. Eventually, students will gain a more optimistic look on life and become increasingly aware of things they may have once not taken notice of. 2. Follow up the story with a class discussion of what ‘the secret’ is. The secret is – have an attitude for gratitude. 3. Create a chart together as a class, of all the things that the little girl in the story is grateful for. 4. Now, make a list of the things the students are grateful for currently in their own lives. Record these ideas on chart paper. 5. Teach students the concept that if you notice the good things in your life and give thanks for them, you will attract even more things to be thankful for. 6. Next, give each student their very own private gratitude journal. 8. Students can record their ideas in a variety of ways. They might just make a list or they may choose to expand on their thoughts and make more detailed sentences; it’s a personal choice. Set a goal to record at least 3 items. 9. At the beginning, students might be repetitive or obvious in their observations about things to be grateful for. As time progresses, encourage students to take note of the more subtle things in their lives. Work on creating awareness in your students with the use of prompts. 10. The beginning and the end of the day are great times to record in the gratitude journals. It is important for the students to see that you are also writing in your own journal when they are. 11. Encourage your students to read through their journals when they are down so that they are reminded of all the good in life. 12. Provide opportunities to share the journals on a volunteer basis only. Someone’s entry might inspire thought in others. While I have only used the introductory story up to Grade 5, gratitude journals are great practice for individuals of any age! You can download the [ilink url=”http://www.newageteacher.com/lessonplans/NewAgeTeacher-AnAttitudeForGratitude.doc” style=”download”]Attitude For Gratitude Lesson Plan[/ilink] here! You can download the [ilink url=”http://www.newageteacher.com/lessonplans/GratitudeJournals-LetterToParents.doc” style=”download”]Letter To Parents/Guardians[/ilink] here! You can download the [ilink url=”http://www.newageteacher.com/lessonplans/GratitudeJournals-InsideCover Inscription.doc” style=”download”]Journal Inscription For The Inside[/ilink] here!